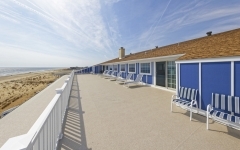 The Atlantic View Hotel in Dewey Beach sits directly oceanfront. 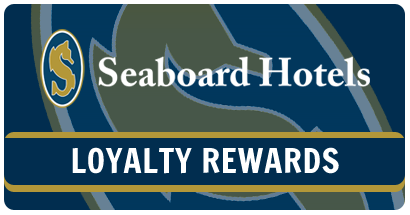 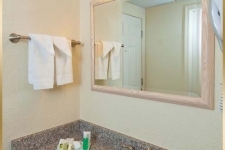 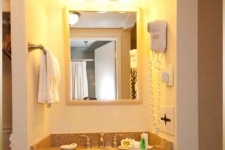 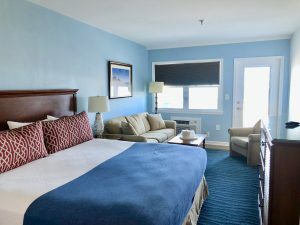 Our Dewey Beach DE hotel rooms are as close as you can get to the beach in any hotel in Dewey Beach or Rehoboth Beach. 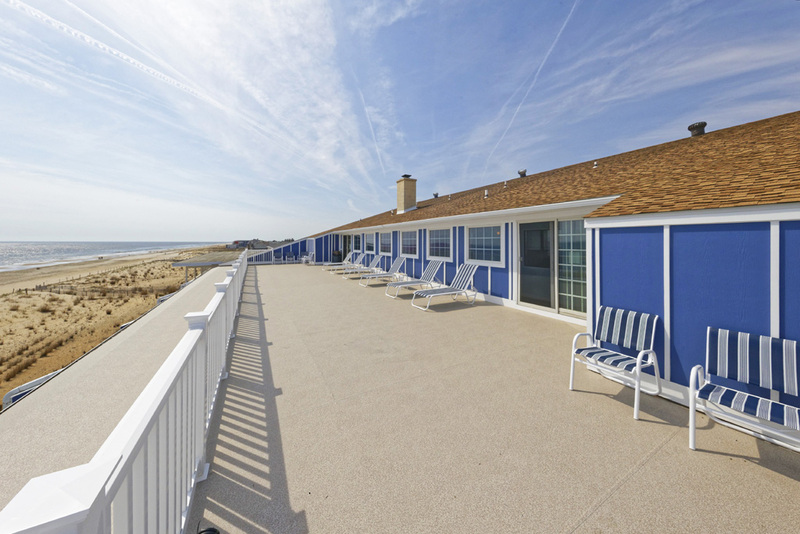 Our 1st floor rooms share a common deck that allows for the easiest access to the pool and beach of any Delaware beach hotel. 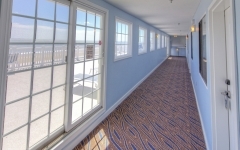 More expansive ocean views are available in the higher floor rooms. 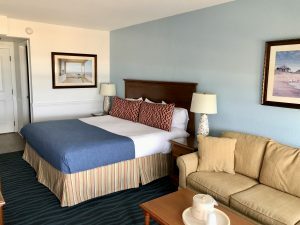 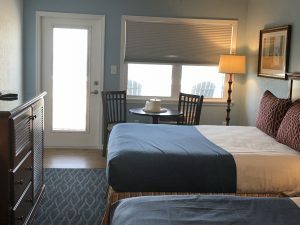 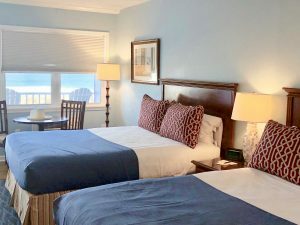 The 2nd and 3rd floor oceanfront hotel rooms in Dewey Beach offer the most spectacular ocean and beach views from your private balcony of all Dewey and Rehoboth Beach hotels. 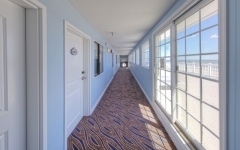 Our 4th floor rooms are not oceanfront, but share a common deck across the hall from the rooms that stretches the width of the building paralleling the beach. 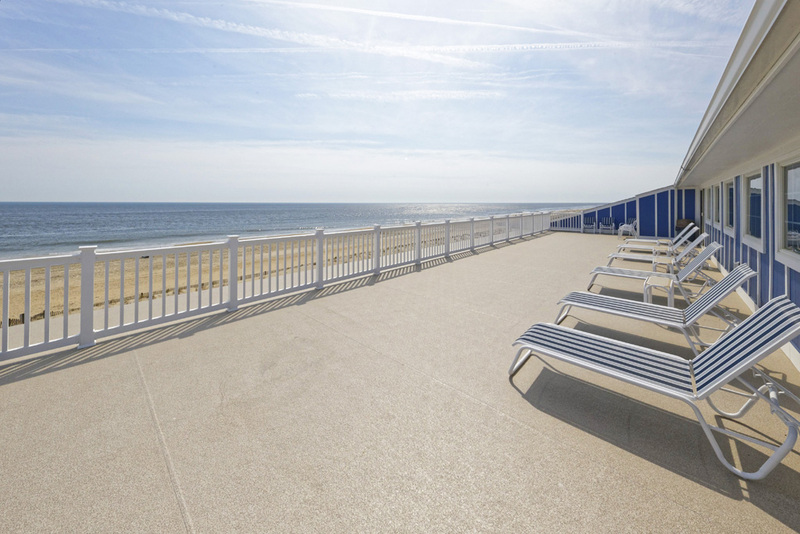 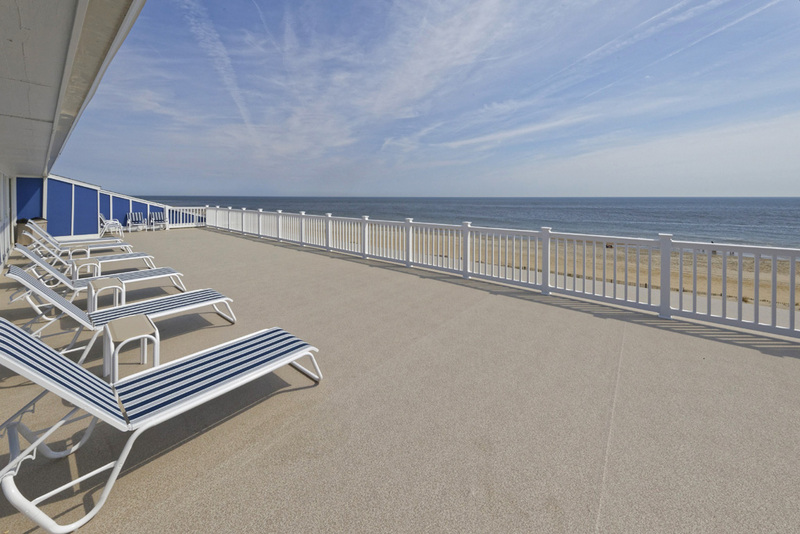 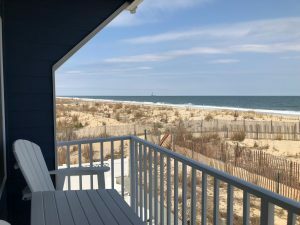 The views from the 4th floor deck are spectacular, offering endless views up and down the beach that no other hotel in Rehoboth or Dewey can claim. 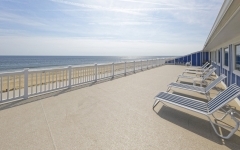 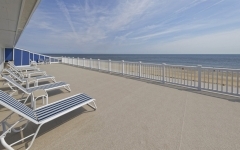 Our Delaware beach hotel can’t be beat; for the best DE beach vacation around, contact The Atlantic View Hotel and book your Dewey Beach DE vacation getaway at our Delaware beach hotel! 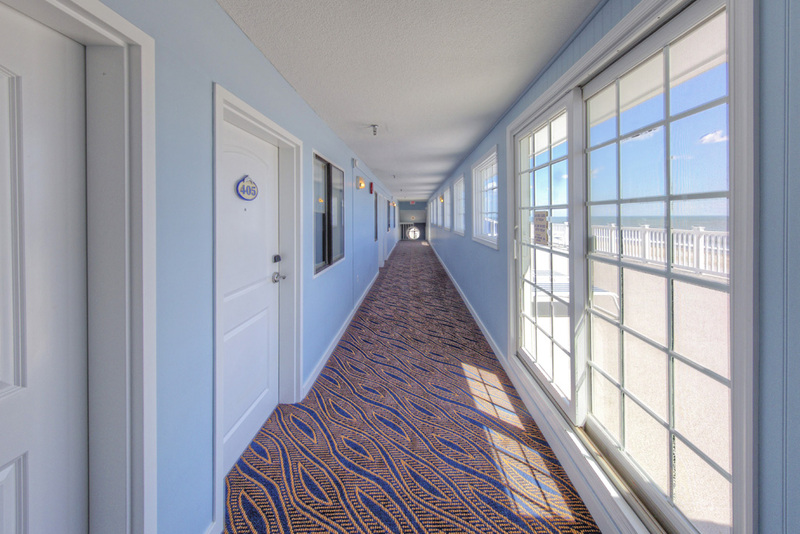 *The Atlantic View does not have an elevator. 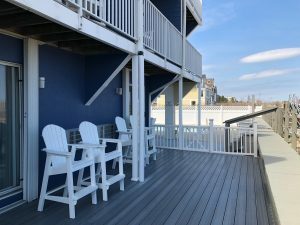 View: Our common deck that is shared with five rooms on the first floor is set just below the dune line so seated you have a slightly obstructed ocean view. 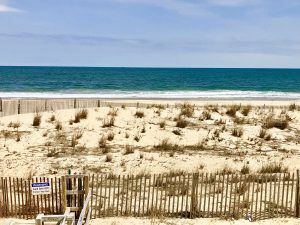 View: NO ocean view from your room. 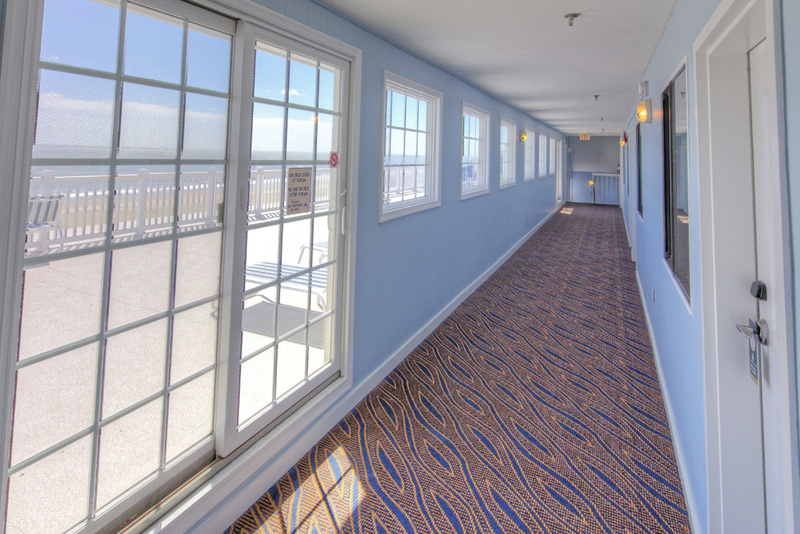 Cross the hall from your room to our 75’x12’ shared deck overlooking the beach and ocean. 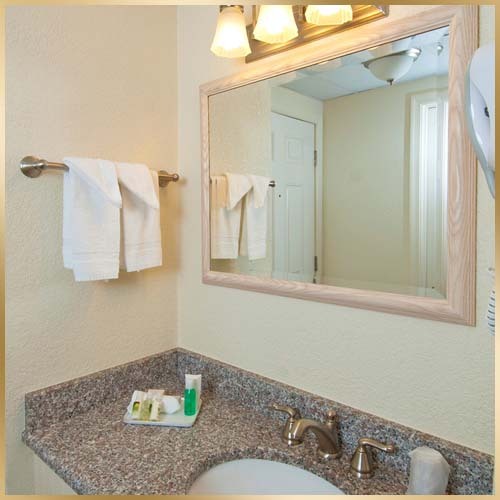 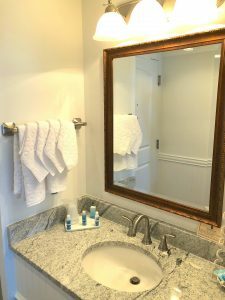 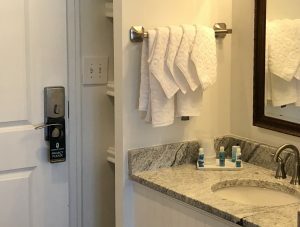 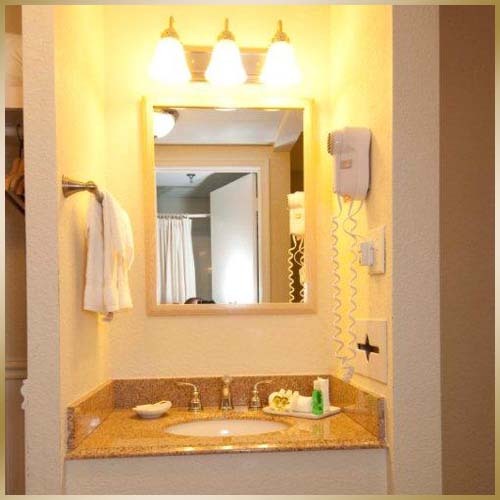 As we continue to renovate and improve the Atlantic View for our guests last year we began increasing the vanity top area and changing the location of as well as enclosing the closets. 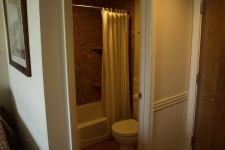 We don’t want to misrepresent any rooms so these are pictures of old and new style until all rooms are renovated. 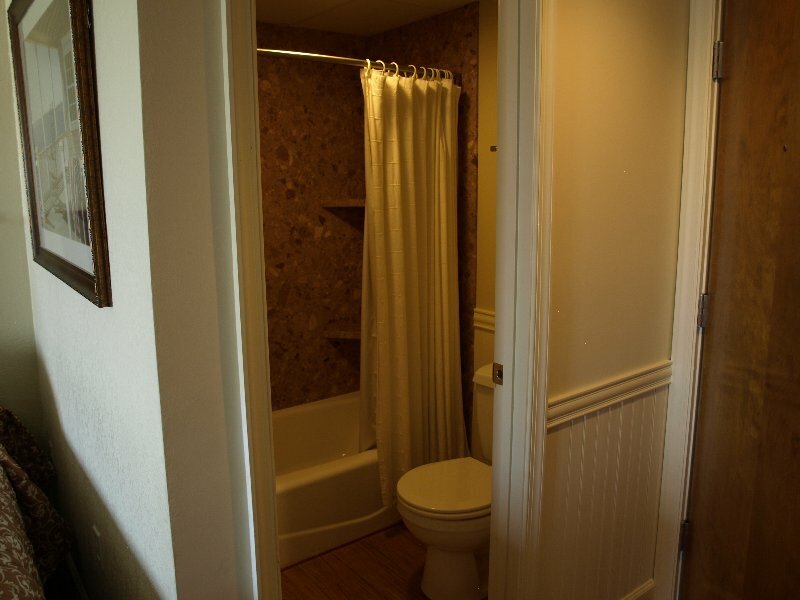 Our building was built in 1978 and obviously standards have changed since. 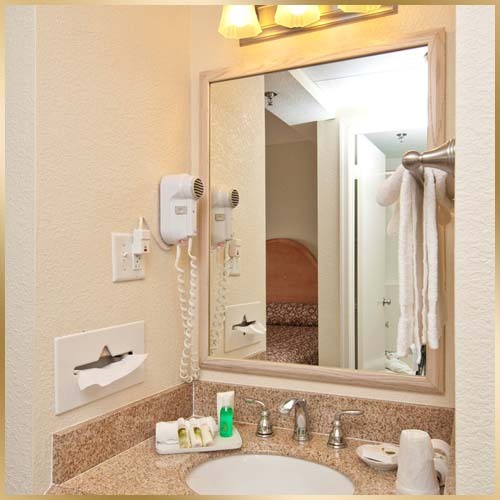 While our bathrooms are as clean as you could find anywhere, they are small. 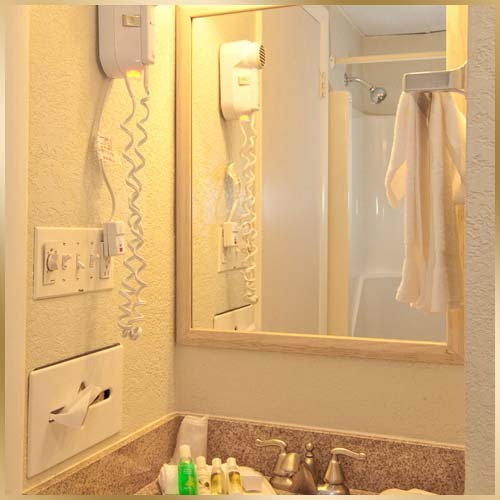 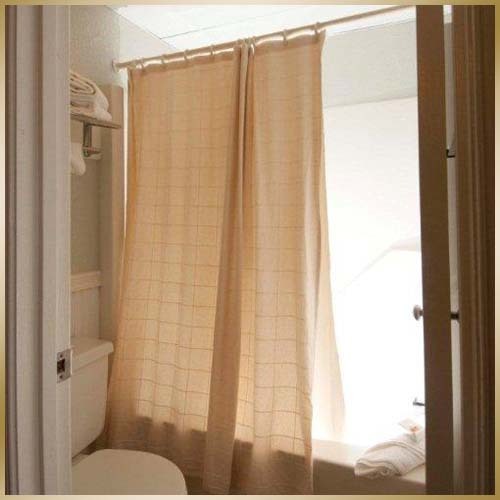 The shower and toilet are within the same space while the vanity areas are separate with the exception of West Side Kings.